Ideal PR Media loves LACOSTE. So when we see it on two of our favorite ladies, Nina Agdal and Angela Simmons, we have to highlight them. To celebrate turning 23, the Sports Illustrated model, Nina Agdal celebrated Miami style at the Miami Open. Nina is pictured with the limited-edition LACOSTE LT12 Racket and a Miami Open Collection cap. 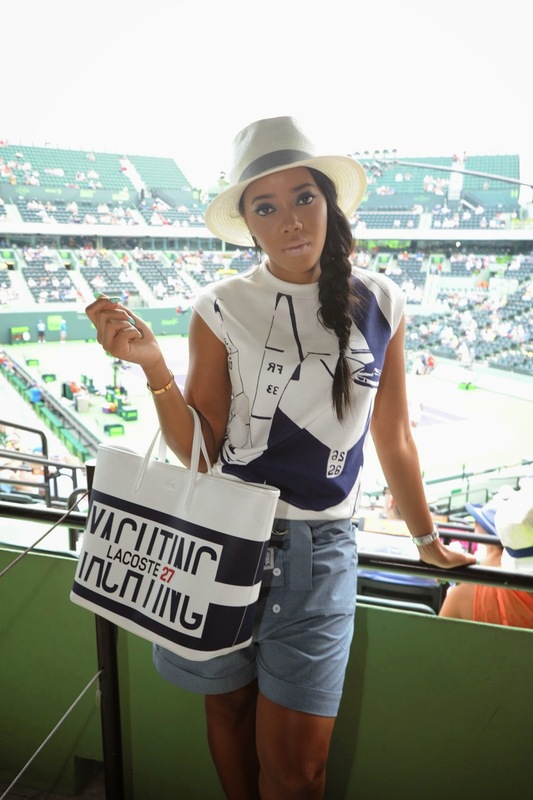 Angela Simmons also attended the LACOSTE Suite at the Miami Open and was wearing head-to-toe LACOSTE. LACOSTE is the official and exclusive tennis and casual apparel and footwear outfitter of the Miami Open.